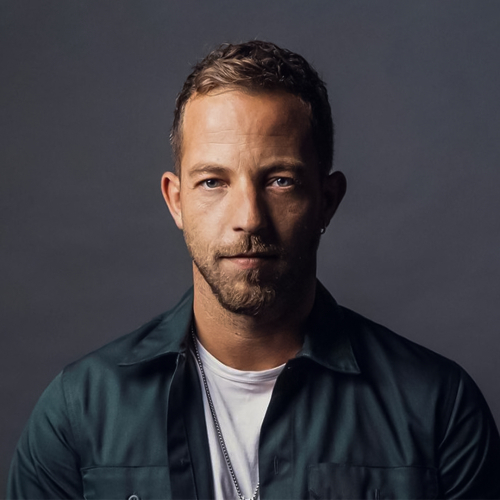 There are multiple artists called James Morrison: 1) an English singer-songwriter from Rugby 2) an Australian jazz musician who plays numerous instruments; best known for his trumpet playing 3) a notable south Sligo-style Irish fiddler. 4) "Jim" Morrison, lead singer of 1960s American rock group The Doors. 1. James Morrison (born James Morrison Catchpole on August 13, 1984) is a singer-songwriter from Rugby, Warwickshire, England. He says that his musical influences include Al Green, Otis Redding, Cat Stevens and The Kinks. At 13 Morrison began to learn guitar when his uncle showed him how to play a blues riff. He started busking when he lived at Porth near Newquay, in Cornwall. After years of playing other musicians' songs, he eventually started to write his own. Polydor Productions took charge and signed him. He became the supporting artist for Corinne Bailey Rae on her tour supporting her debut album. In 2006 he debuted with his single you give me something which became a hit single around Europe and Japan. It reached the #2 spot in Holland and the #5 spot in the UK. His debut album Undiscovered went straight to #1 in the UK and has sold more than 2,000,000 copies worldwide. The second single released from the album was "Wonderful World," which became a top 10 hit in the UK reaching the #8 spot. James' second album "Songs For You, Truths For Me" was released in September of 2008. The single released days before the album was "You Make It Real". The big hit from the album though was the second single "Broken Strings" featuring Canadian singer-songwriter Nelly Furtado. It reached the number 1 spot on at least 4 charts of various countries (including Belgium, Germany, Switzerland and on the European Hot 100 also). It peaked at number 2 in the UK, Austria and Ireland. It was a top 40 hit on the US Billboard Adult Pop Songs chart also peaking at 34. Morrison's first single from his third album, "The Awakening", was "I Won't Let You Go". Singles that followed were "Up" feat. Jessie J, "Slave To The Music" and "One Life". The album was released on September 23, 2011, reached number 1 in the UK and Switzerland and has been certified platinum in the UK as well. 2. James Morrison (born 11 November 1962 in Boorowa, New South Wales) is an Australian jazz musician who plays numerous instruments, but is best known for his trumpet playing. He is a multi-instrumentalist, having performed on the clarinet, soprano saxophone, alto saxophone, tenor saxophone, baritone saxophone, flugelhorn, bass flugelhorn, trombone, euphonium, tuba and piano. He is also a composer, writing jazz charts for ensembles of various sizes and proficiency levels. He performed the opening fanfare at the Sydney 2000 Olympic Games. In 2009, he joined Steve Pizzati and Warren Brown as a presenter on Top Gear Australia. Morrison has performed with Dizzy Gillespie (the first Australian to do so), with Don Burrows, as a member of the Don Burrows Band, and with Ray Charles and B. B. King for a 1990 world tour. He has also worked with Ray Brown, Wynton Marsalis, Frank Sinatra, Cab Calloway, Jon Faddis, Woody Shaw, Whitney Houston, Arturo Sandoval, Phil Stack, George Benson, Mark Nightingale, and Red Rodney. In 2005, he was the guest soloist at the 150th anniversary concert of the Black Dyke Band and in 2007, he again appeared as guest soloist at concerts with the band in Manchester and London. In 2003 he founded the band On The Edge together with the German keyboarder and composer Simon Stockhausen (CD released on Morrison Records). Morrison has also had a long association with Composer and pianist Lalo Schifrin (of Mission Impossible fame) and has recorded a number of CDs on Schifrin's "Jazz Meets The Symphony" series. These include recordings with the London Symphony and the Czech National Symphony. 3. James Morrison (3 May 1893 - 1947), known as "The Professor", was a notable South Sligo-style Irish fiddler. Morrison was born in 1893 near Riverstown, County Sligo at the townland of Drumfin. Morrison grew up in a community steeped in traditional Irish culture especially music and at the age of 17 he was employed by the Gaelic League to tutor the Connacht style of step dancing at the Gaelic League school in County Mayo. In 1915, at the age of 21, he emigrated to America and settled in New York. In 1918, Morrison won the fiddle competition at the New York Feis. Morrison become associated with other leading Irish musicians such as Michael Coleman, Paddy Killoran who were also from County Sligo. Morrison was one of the leading Irish music teachers in New York in the 1930s and '40s. In addition to the fiddle, he could play the flute and button accordion (and wrote a tutor on the latter) and taught hundreds of young Irish-American students to play traditional music on various instruments. 4. See The Doors.